Besides housing a large number of art venues, Tennessee’s major cities are home to many of the state’s top art and design schools. In fact, of the more than a dozen schools for artists and designers, only three are located in small cities or towns. Just a few top Tennessee art and design schools include Watkins College of Art, Design & Film (Nashville), O’More College of Design (Franklin), and Belmont University (Nashville). Tennessee is home to 109 Title IV degree-granting colleges and universities with more than 330,000 enrolled. More than 8,600 students attend the state’s top art schools alone. These schools offer a variety of programs for artists and designers of all kinds. Scroll through the list below to find out which Tennessee schools are tops for aspiring artists and where you can find them. Tennessee is home to more than 28,860 professionals working in Arts, Design, Entertainment, Sports, and Media (ADESM) occupations. They earn an average annual salary of $49,260, up from $44,670 in 2010, when the state was home to 25,130 ADESM professionals. Of the nearly 29,000 salaried ADESM professionals living in Tennessee today, an impressive 3,150 are graphic designers, making this the largest group artists and designers in the state. The average annual salary for these artists is $44,490, up from $39,350 in 2010 when the state was home to 2,970 salaried graphic designers. Other prominent members of the ADESM group are producers and directors (pop. 1,130, $58,100/year), film and video editors (pop. 460, $66,920/year), media and communication workers (pop. 460, $35,130), art directors (pop. 330, $77,380/year), multimedia artists and animators (pop. 200, $51,050/year), fine artists (pop. 170, $29,670/year), and craft artists (pop. 160, $34,540/year). It is important to note that many artists and designers are self-employed, so it is safe to assume that the population of ADESM professionals in Tennessee is much higher. These individuals typically earn more as well—especially in larger states and major cities. In fact, according to the Bureau of Labor Statistics (BLS), the “Independent Artists, Writers, and Performers” ‘industry’ has the highest concentration of employment (not the highest level of employment) in ADESM occupations, and it is one of the highest paying industries for ADESM professionals. Overall, independent artists average $70,620 per year. Independent artists working in animation average $75,150 per year and those working as art directors average $91,100 per year. Independent fine artists average $43,390 per year, and independent craft artists average $36,590 per year. Nationwide, the median annual wage for art and design workers was $43,100 in May 2014, which was higher than the median annual wage of $35,540 for all occupations. The states with the highest employment levels for ADESM professionals are California, New York, Texas, Florida, and Illinois. 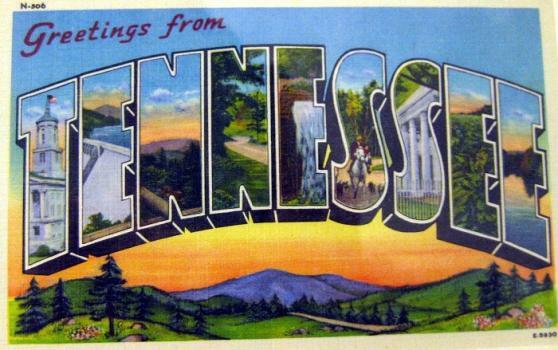 Aspiring artists and designers in Tennessee may increase their chances of finding employment by exploring major cities and the top industries first. Besides the cities mentioned earlier, consider Franklin, Jackson, and Johnson City.